Jupiter in 2nd House/ Jupiter in Second House. Today, Jupiter in 2nd House. 2nd house represents Family, Wealth, Speech, Family Lineage, Values, Mouth, Throat, food you like to eat, Assets etc. As 2nd house is house of family and family lineage & Jupiter represents Religion & Spirituality, this position suggests that one has good spiritual environment in family. Person belongs to a religious family. As 2nd house is house of speech and Jupiter is Spirituality, this makes person's speech very spiritual and preachy. It is also house of wealth and Jupiter is significator of wealth, so it may expand their wealth and will always be seen as wealthy people. From 2nd house, Jupiter aspects the 6th house of disputes, obstacles and enemies & it provides the wisdom and knowledge to win over enemies. 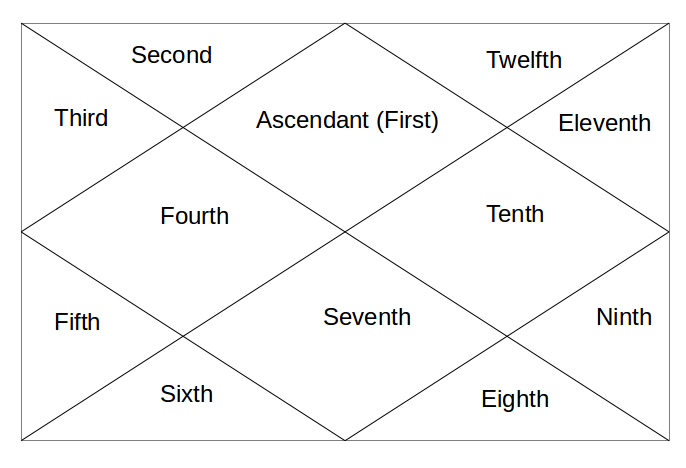 This position can make a person lawyer as Jupiter is written Law, 6th house is house of disputes and Jupiter's another aspect goes to 10th house, which is house of Career. So, it shows that someone is making a career in law and litigation. Another aspect of Jupiter goes to 8th house of occult, mysticism and hidden knowledge and as Jupiter is knowledge itself, this position gives an extra-ordinary interest in gaining knowledge of occult and mysticism. Tomorrow, Jupiter in 3rd house.